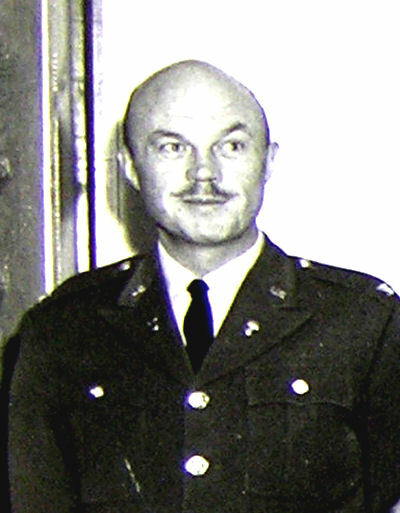 COLONEL JOHN R. BAILEY, JR. Colonel John R. Bailey, Jr. will assume command at Black Hills Ordnance Depot tomorrow. Prior to the arrival at the 22,000 acre installation, Colonel Bailey just finished a tour of duty in the Plans and Progress Division, Office, Chief of Ordnance, Washington, DC. A native of Jackson, Mich., the new commander at one of South Dakota's largest industries, graduated from West Point in 1938. Of global scope Col. Baileys Army assignments have embraced tours of duty including Panama Canal Zone, Guam, Marianas Islands, London, England and various stations in continental United States. A graduate of the Armed Forces Staff College and the Command Generals Staff School, Col. Bailey has had other extensive training including, Ordnance Office Advance School, Marine Corps Command and Staff School and advanced courses in the Antiaircraft Artillery School. Col. Bailey holds the Army Commendation Ribbon with Metal Pendant. Col. and Mrs. Bailey have four daughters, one attending Swarthmore College in Pennsylvania, and the younger three who will attend school at BHOD.